No time to cook Thanksgiving dinner? 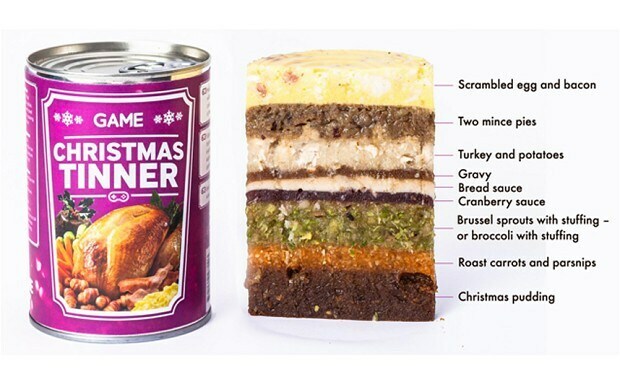 Try the Christmas Tinner! This nine piece dinner includes turkey, potatoes, gravy, bread sauce, cranberry sauce, brussel sprouts or broccoli, stuffing, roast carrots and parsnips, scrambled egg and bacon and for dessert two mince pies and Christmas pudding. This dinner isn't just for Gamers, with finals around the corner and football to watch the Christmas Tinner may just become a staple! Reminder, heat to an internal temperature of 165 degrees.